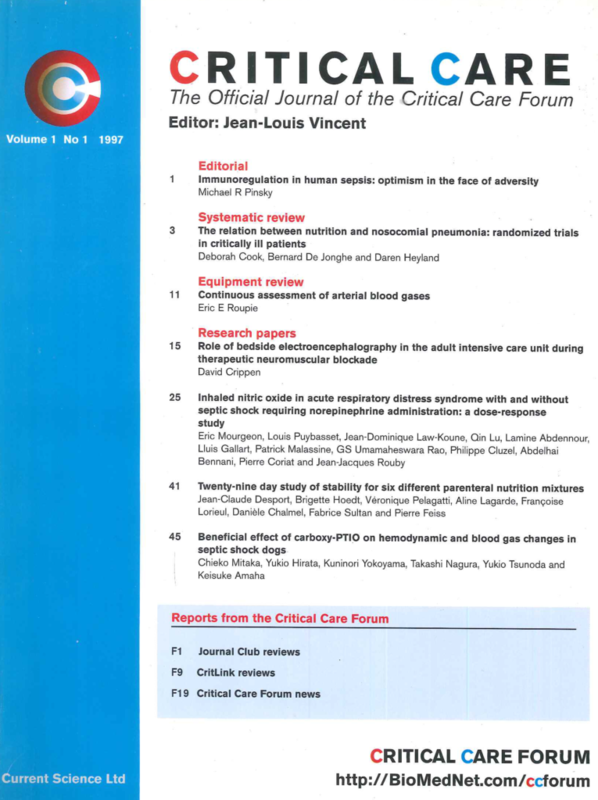 13th August 2017 marks 20 years since the first issue of Critical Care was published. 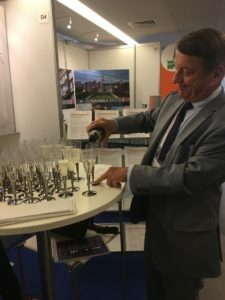 In this blog and on our dedicated anniversary landing page, we look back at some of the journal’s key milestones and explore how it has maintained its success for two decades. “The internet offers a powerful tool for collaboration and exchange of scientific and clinical information”, affirmed Professor Jean-Louis Vincent in 1997. It was under this assertion that the journal Critical Care was launched: to make the most of the internet, then considered an “emerging resource”, and utilize it as a platform for the sharing of ideas, discussion and education within the intensive care community. Online journals were not the norm in 1997. The total number of websites had just reached 1 million, more emails were sent than letters for the first time and Google was yet to exist. The Critical Care Forum (ccforum) website was launched, hosting content online immediately on acceptance alongside its accompanying, bimonthly print journal: Critical Care. central aims from the onset has been to provide easy access to the latest research as quickly as possible. Now, the latest research was instantly available to physicians at the bedside and researchers in the laboratory –without paywalls. Today, Critical Care is the largest and most successful open access journal in the field, having published over 6000 articles. The driving force behind Critical Care’s success was, and still is, Professor Jean-Louis Vincent. As Editor-in-Chief since the journal’s inception, his dedication to furthering critical care medicine has overseen new discoveries become standard practice in intensive care units across the globe. “We must push critical care medicine to its limits by incorporating new technology, collaborating with other hospital departments, limiting protocolized care to units where well-trained intensivists are not available and adopting more personalized medicine” says Vincent. There’s no denying that his vibrant and ambitious character is inspirational, and this has certainly been reflected in the journal. 1997 advert for the original Critical Care Forum website, before the print journal and website merged. As Prof Vincent explains in this recent podcast, “critical care medicine is evolving more rapidly than ever with the development of new technologies”. To mark Critical Care’s 20th anniversary, the journal has launched The future of critical care: a series of reviews exploring future advances in topics such as mechanical ventilation, precision medicine and renal support among others, written by experts in the field. To continue our celebrations, we have launched a 20th anniversary landing page, including a timeline of the journals key milestones as well as an interview with Associate Editor Stephen Brett on the significance of the journal to furthering critical care medicine. Advancements in therapeutics, precision medicine and telemedicine are undoubtedly exciting prospects for critical care medicine. It seems likely that even in another 20 years, Critical Care will be well equipped to deliver these new advances to the intensivists of tomorrow.